Bennett Craig Industrial sought to improve the safety and efficiently of pouring concrete into housing “shells” or cinder walls. This is typically done by a team of three workers. One worker typically is standing on a very thin wall 12-16 ft. while holding a 50 lb. hose. This process has led to serious injuries when workers have lost their balance and fallen. Bennett Craig tried an industrial design firm, but was frustrated by extremely slow progress with no fabrication capability or design justifications.  FACTOR 10 took over and optimized cost and ease of use.